is run by me, Ian Hey. I have been climbing and mountaineering worldwide for over 20 years and hold the Mountaineering Instructor Certificate (MIC) – the highest UK specific award for climbing and mountaineering activities. Where ever possible I run all courses by myself. Where that is not possible your course will be run by a qualified instructor who is also a personal friend and passionate about the sport themselves. British Isles. I have climbed throughout the UK from the Isles of the Outer Hebrides to the Mountain crags of Scotland. From the sea cliffs of Devon, Cornwall and Wales to the gritstone outcrops of the Peak District and the sandstone of Northumberland. Walking adventures include multi-day back-packing trips and a coast to coast journey across Scotland. Overseas. Abroad, I have made over a dozen trips to the European Alps in summer and winter and summited on over 30 major alpine summits. Further a field I have climbed in New Zealand, Australia and North America. Favourite destinations here include Yosemite, Tuolumne Meadows, Joshua Tree, Red Rocks, and the desert spires of Utah. Mountaineering Expeditions. Major trips have seen me visit the mountains of Nepal and Pakistan and climb granite walls in Greenland and Baffin Island in Arctic Canada. UK Instruction. As well as running Climb-Mountains I have worked for 2 National Mountain Centres – Plas y Brenin in Wales and Glenmore Lodge in Scotland. 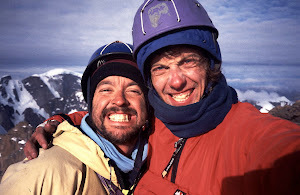 I have also worked for Jagged Globe, Adventure Peaks, Alpine Guides and West Coast Mountain Guides among others. Overseas Guiding. In 2008 I led a successful expedition to Island Peak and Everest Base Camp in Nepal for Jagged Globe. British Mountaineering Council. I spend 3 years as the Technical and Safety Officer for the BMC. Writing articles and organising lectures and events on best practice in climbing and mountaineering. Harvey Maps. After graduating with a degree in Land Surveying I spent 4 years working as a Cartographer on the award winning series of walking maps produced by Harvey Maps. I try to bring this broad breadth of personal climbing, travel and work to all of my instruction so that you can learn from my many adventures and experiences. This means you get to learn faster and in a safer environment while avoiding some of the bumps and pitfalls that I learnt from! Private Bookings. The majority of our bookings are private bookings by individuals or small groups. That way you get the dates that you want and we can be flexible in delivering a syallabus that meets your needs. We deliver information in a way that suits your learning style and progress at a speed that is comfortable for you. The instructor client ratio is kept small so you get the maximum amount of personal attention during the day. Working like this removes the possibility of conlict that can arise when booking on a course with others and finding that someone wants to develop at a faster/slower pace than you or has a different agenda. Scrambling - as training/preparation for an attempt on the Cuillin Ridge or an upcoming alpine trip. Open Courses. We also run a number of open courses on set dates. We do this where there is the advantage of clients learning from observing each other as well as from the instructor. There is also the additional advantage that working in a slightly larger group brings the individual cost down. Please see the courses page for further information or get in touch if there is a specific course you would like us to run. What is Provided. We provide all specialist kit for activities. The one exception to this is rock climbing shoes. If you do not have your own please let us know in advance and we should be able to hire them locally for you. You will need to supply warm clothing, waterproofs, food and drink, walking boots and a rucsac large enough to fit all your personal kit and a share of all the specialist group kit (ropes and hardware etc). Please see the kit list page or the “further information” tab of any individual course page for specific details of what you need to provide. is as much about the places you go, the people you meet and the experiences you share along the way as it is about summits reached or climbs ‘ticked’. I bring that same focus to all my guiding and instruction. Some of my best experiences were hatched with complete strangers around a campfire over a bottle (or two!) of wine in a foreign country. The ensuing adventure is etched into the memory and though I may not see or here from them again for years when we do meet, that special bond formed through shared experiences will always be there. Climb-mountains may be a business but spending time on the crags and mountains, seeking adventure while developing new skills and learning about what we are capable of will always be more than just work. I hope your time with us will be an enjoyable one. Those that want to be pushed and challenged can be pushed and challenged, while those that want a fun day out can have that too. Climbing and mountaineering have inherent risks and dangers. We cant remove these and nor would be want to because without an element of risk or danger there can not be challenge or adventure and those are surely two of the main reasons we pursue these activities. The skill is to identify the risks and hazards and manage them. By spending time with us you will have some memorable experiences but also learn new skills and techniques to help you enjoy yourself more safely in the mountains. As a guide and instructor I gain immense pleasure from seeing someone achieve a personal ambition. Or helping you to develop new skills that lead you to become more independent and open more doors to what you can achieve in the future. Please get in touch through the contact page with your dreams and ideas, however big or small, and we can start to start the ball rolling….. Throughout the Spring summer and Autumn we offer a full range of climbing and mountaineering courses. Rock Climbing. The North Wales area offers perhaps the most diverse rock climbing opportunities in a small area anywhere in the UK. 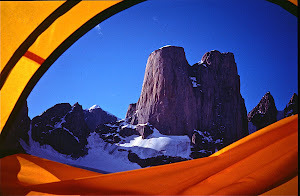 Remote mountain crags, adventurous sea cliffs, single pitch crags suitable for beginners. Bolt protected sport climbing, naturally protected ‘trad’ climbs and bouldering can be found throughout the area. Add in the variety of rock types, limestone, slate, ryholite, dolerite, quartzite, each with its own unique characteristics and there is a lifetime of rock to go at.. Scrambling and Walking. The scrambling in the area is second only to some parts of the Scottish highlands but blessed with shorter approaches and the hill-walking is also similarly diverse from the grassy Carneddau, the lunar landscape of the Glyders and the classic ridges of the Snowdon group. Snow and Ice. In the winter months we tend to relocate to Scotland so we can enjoy the more reliable winter conditions to be found north of the border. In the last few years we have based ourselves near Fort William. This gives great access to Ben Nevis, Glencoe and Creag Meagaidh while still close enough to make day visits to the Cairngorms and the NW Highlands. But we can also come to you. At any time of year we are happy to travel to other areas of the UK to deliver courses. So whether its Navigation in the Peak District, Mountain Skills in the Lake District or Sea Cliff adventures in Pembroke we can always come to you.